Valve has officially announced SteamOS, a new operating system designed to make Steam games big-screen friendly by offering a Steam-powered experience to the living room. Billed as a “co-operating system,” Steam OS gives more control to users and developers. In-home Streaming: All your Windows and Mac games can be played on your SteamOS machine. Just turn on your existing computer and run Steam as you always have – then your SteamOS machine can stream those games over your home network straight to your TV! 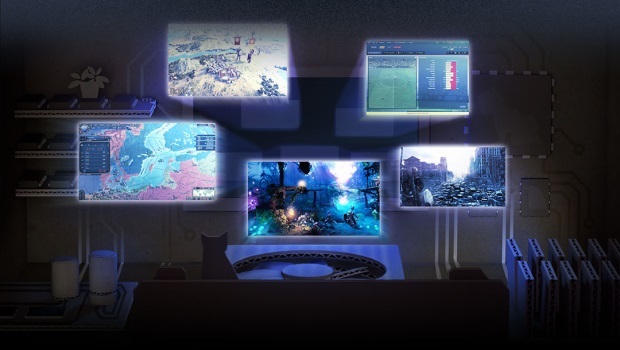 Music, TV, Movies: Valve is working with many popular media services to bring them online, allowing you to access your favorite music and video with Steam and SteamOS. Family Sharing: Family Sharing allows you to take turns playing one another’s games while earning your own Steam achievements and saving your individual game progress to the Steam cloud. Family Options: The living-room is family territory. That’s great, but you don’t want to see your parents’ games in your library. Soon, families will have more control over what titles get seen by whom, and more features to allow everyone in the house to get the most out of their Steam libraries. SteamOS will be available soon for users as a free download, and for manufacturers as a freely licensable operating system for manufacturers. The full production budget has now surpassed €300,000. SG Interactive has announced a new event dungeon for players of Grand Chase.